A vinyl casement window is a tall, narrow window that opens by cranking a handle. casements can open out towards the left or right. Vinyl Casement windows offer smooth control system for easy opening access. Advance Windows only offer the highest quality materials for energy efficient features and for a timeless finish. An awning vinyl window works much like a Casement window. It too opens by cranking a handle that pushes the bottom of the sash out. This feature allows for maximum airflow and optimal home security. Awning is known for a class look and durability to last for decades. Awning is vital for basements & those who are seeking a functional window. A double hung vinyl window has two sashes that move up and down and both can tilt into the room for easy cleaning. Double hung are optimal for minimal frame interruption and for easy access for cleaning replacement, and custom designs. The grilles recreate a vintage style with today's modern style, making Double Hung Windows a must have for every home. A single hung vinyl window operates vertically (up and down). One sash is stationary and the other sash moves up and down and can tilt into the room for easy cleaning. Includes a screen that covers half the window. Similar to our Double Hung window, Single Hung provides easy access those seeking change in the future or a classic style that is stunning in every room of the house. A single tilt sliding vinyl window operates horizontally (side to side). One sash doesn't open and the other sash moves. Included is a screen that covers half the window. The moveable sash moves sideways and can tilt into the room for easy cleaning. Single Tilt is one of our best seller for numerous of reasons. Single Tilt allows the majority of clients experience an open window without sacrifice the entire window. This allows best of both worlds for a tempting price. Vinyl sliders have a contemporary gliding design where at least one sash slides across the other. Many people find this easier to open than lifting or cranking. Sliders are good for high traffic areas because they don't project in or out. This is advantage many people seem to like about the Single Slider Tilt and Lift. However, these windows are getting more popular every year. The double sliders are able to glide easily with the effort of one finger. These windows are often forgotten about but can be one of the most useful. The design allows optimal air flow and fly maze to prevent bugs from entering your home. The growth of slider windows are increasing and maybe be standard in some areas in Mississauga. Fixed vinyl windows provide beautiful views when ventilation is not a concern. Large feature windows optimize available light and can be combined with operating windows and patio doors. The high profile achieves what most windows cannot. A beautiful view with large features that present the outdoors with a unique look. High profile windows are often used at the front of the house to allow light come for the entire house. The name comes from the southern west coast. Bay windows are perfect for those who want maximum air flow into their home. The windows are elegant because of the angle they are able to open. With this much air, you will truly feel like you are outdoors. Similar to Bay Windows, bow windows will also allow the most amount of air flow into your home. The difference is bow have curve that will suit concern houses windows or any curve on a home. With home designs always changing, these windows may be coming more common in the near future. Vinyl Greenhouse windows protrude outward from the home, letting in more light. Great for seedlings and high-maintenance plants, these windows can feature shelving on multiple levels to maximize space. They can also feature an awning- style top with a crank to allow airflow from the outside. Advance windows and doors can provide you with a custom window of your choosing. Feel free to let your imagination be expressed. Having the ability to design your own window is truly exciting. Your home is unique and special to you, so we know your windows have a similar meaning. 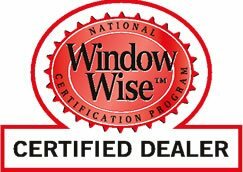 Contact us today to receive a quote for your custom window.